I was designing a Goldilocks™ for myself, for my wedding and wanted something that is less direct than, let’s say, a heart or both our initials. 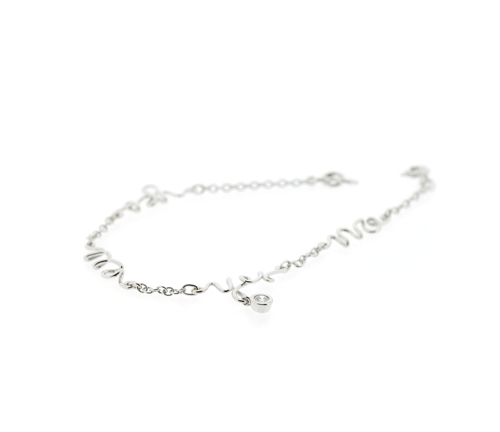 To begin with, I was planning a bracelet saying mr & mrs, in the style of our yes/no bracelet (above) but the minimalist in me kicked in, and all that remained for the final piece was the &. 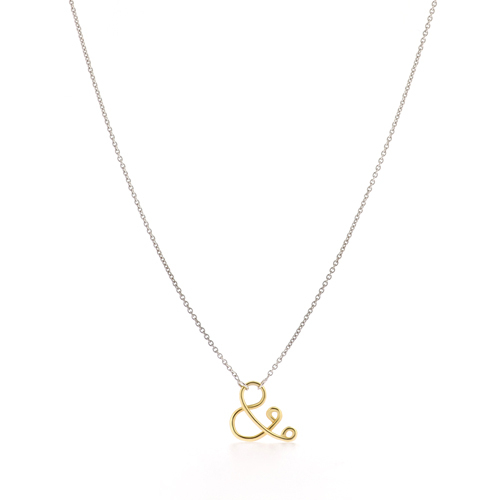 You & Me, Mr & Mrs; the ampersand (&) is what binds the words together. Being an everyday symbol connecting words, it can stand for so much more. 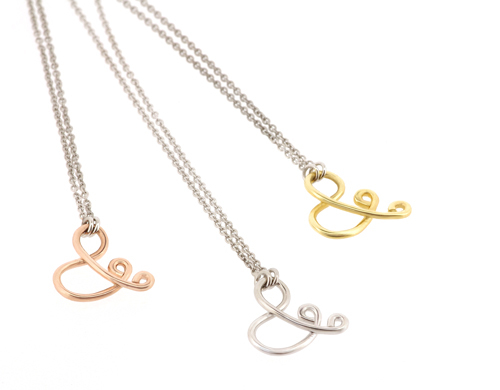 Goldilocks™ You & Me is made in 2-tone, as a symbol of the joining of two parts, words – or people. * Update: Goldilocks™ You & Me has been featured in the press! Her World Singapore, February 2012. 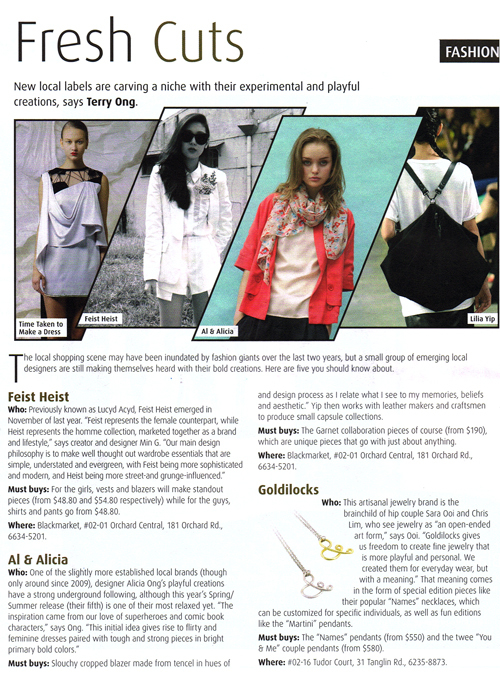 I-S Magazine, 3-16 Feb 2012. 5 design labels to look out for.